Since the famed Kenneth Arnold “flying saucer” sighting of 1947, the world has been fascinated and unnerved by these mysterious objects in the sky. Millennia of recorded human history report UFOs, and everything from the extinction of dinosaurs to the origins of humankind have been attributed to them – but what exactly are UFOs? 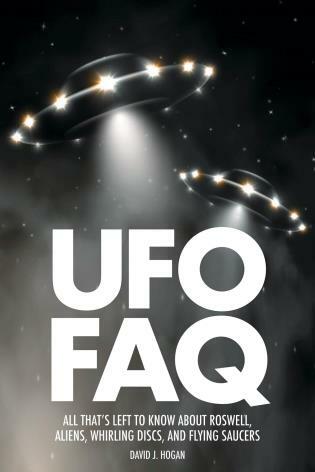 Featuring material from a treasure trove of UFO/Project Blue Book archives declassified in 2015, UFO FAQ is an all-inclusive guide to UFO lore – hard science and hoaxes, sightings and abductions, noted UFO proponents and skeptics, and sanctioned research and purported government cover-ups. Readers will meet cultists and explore worldwide UFO “hot spots.” They'll learn about UFOs in World War II, the Cold War, and the age of terrorism. And they'll zip along with UFOs in movies, comics, TV, and other popular media. Also featured are an international UFO timeline and a valuable UFO checklist that includes step-by-step suggestions on how to prepare and make the most of your UFO sightings – while ensuring your credibility. Dramatically illustrated with nearly 100 photographs and drawings, UFO FAQ combines historical accuracy, provocative speculation, and compulsive readability in one handy volume. 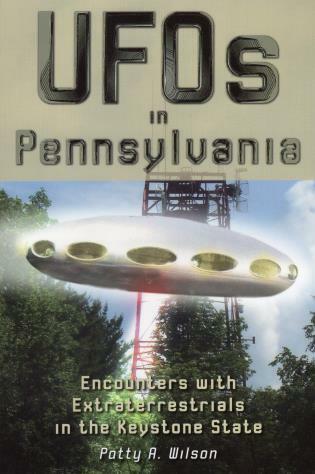 UFOs in Pennsylvania Wilson, Patty A.